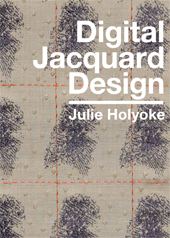 Digital Jacquard Design, the first comprehensive textbook dedicated to figured textile design in the digital era, is available for purchase at online bookstores around the world. 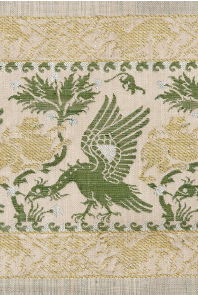 "This is a book that is going to captivate any visually-attuned person ... an excellent resource for students of jacquard, but more than that, it is a compilation of inspiration for any artist. With the resurgence of interest in making cloth, this book will surely guide many non-weavers through this fascinating terrain." Bhakti Ziek, SDA NewsBlog spotlight. 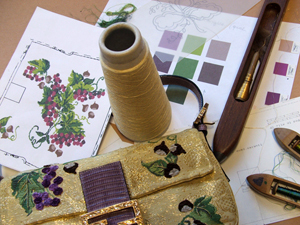 Course participants design a project to be woven in damask at prestigious Italian silk mill. Study and analysis of historical and contemporary damasks, elaboration of projects in computer lab, use the Foundation's library and archives for research and inspiration. Students receive finished sample of one meter; optional purchase of additional meterage at production cost. 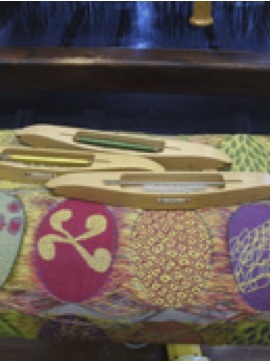 The course is open to designers, textile students and instructors with basic weaving knowledge. Experience with graphic software is required. 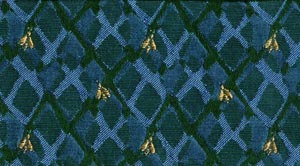 Representative samples of Jacquard techniques using one warp and one or more wefts will be observed and analyzed. The number and function of warp and wefts series will be identified, weave superimposition theory introduced and the drafting of complex weave structures practiced. 'Virtual samples' will then be designed using the techniques studied through sample analysis. 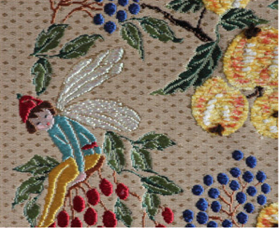 The samples will be elaborated using traditional pointpaper and textile CAD software in order to familiarize course participants with a range of tools employed in Jacquard design. 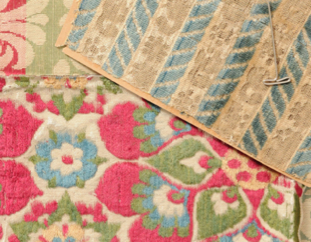 Different mountings and types of looms for figured textiles. 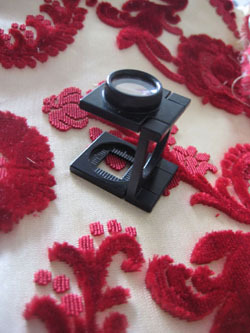 Analysis and design of single warp, single weft and mulitple weft textiles: damask, self-patterned, lancet, brocade. Multiple warp textiles : lampasi, piqu´, matelass´, floating pile, velvet. Figured textile design with traditional and textile CAD: sketch, point-paper, reading note, warp and weft drafts, simulation of fabric, take-up float control, production of the card. Sampling of projects on 5 Jacquard hand-looms and one computer piloted loom. 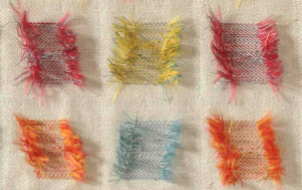 Students will complete a portfolio of woven samples and data for each project. Birk Centerpark 5 - 7400 Herning, Danimarca I partecipated in the Master Class held at Teko Design University in Herning, Denmark on May 5th, following the opening of the exhibition Pretty Smart Textiles http://prettysmarttextiles.com/ During the one-day seminar, artists, educators and textile designers explored three areas of use of information technologies in textiles: light, sound, movement. As a specialist in weave-patterned textiles, I found the possibilities of using shape memory retaining materials, such as Nitinol and Flexinol, of particular interest for my work. "Tessuti d'arte: Designing Significant Textiles"
the Nardini Bookstore hosted the conference "Tessuti d'arte: Designing Significant Textiles" with Julie Holyoke of the Lisio Foundation Arte della Seta, on the art of designing weave-patterned textiles for unique occasions. The Lisio Foundation's experience in the creation of object specific, bespoke textiles for high-fashion bags was shared with weavers and designers during the course "Designing Your Dream Bag" from 4 to 6 February 2011 at the Foundation's school in Florence, Italy. Templates for classic purses were used as models. During the three days workshop, participants designed and wove custom fabric for their personal creations on Lisio's digital Jacquard loom. The workshop was attended by weavers and designers. 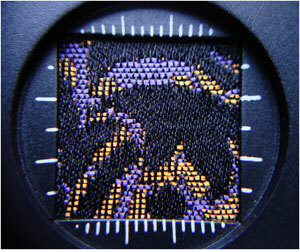 Lisio Foundation instructor Julie Holyoke will hold a one-day seminar dedicated to building weaves for Jacquard textiles. The objective of this workshop is to strengthen participants' skills in the choice, creation and adaption of weaves in Jacquard weaving. 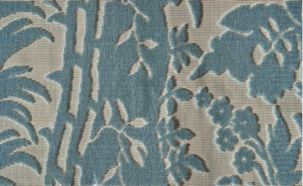 Patterning in a Jacquard woven textile is the result of contrasting weave structures. In order to select, create, or build the weaves appropiate to a given project, the maker must first identify the range and type of contrast required between two or more weave effects, and then adapt the chosen weaves to the loom set-up, materials, and artwork to be used. Elaboration of designs using textile CAD. Production of woven textile sampler, with a variety of weft materials. 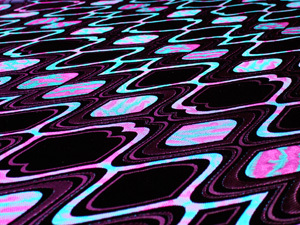 Experimention of woven effects. Further elaboration and definition of final project. Weaving of panels. Materials provided by the Lisio Foundation. Students may bring additional yarns for use as weft.